Deep tissue massage is one of the many body massages that we offer at our Atlanta spa. This massage is a specific type of therapy that is similar to Swedish massage but with techniques used to concentrate on the deep layers of muscle in the body. It is a Western technique used to relieve tension and pain that stems from deep within the muscle and connective tissue. We recommend deep tissue massages for individuals who experience stiffness and tension stemming from bad posture or previous injuries. Deep tissue massage techniques are very similar to that of traditional Swedish massage with the primary difference being increased pressure application which aims at affecting the deeper tissue structure of the muscles. The massage therapist will choose between several strokes depending on the size of the muscle that is negatively affected. Our trained massage therapists do not force pressure into the muscle, but rather apply pressure until the muscle pushes back. The pressure applied should not be painful, but it is common to experience soreness after a deep tissue massage. 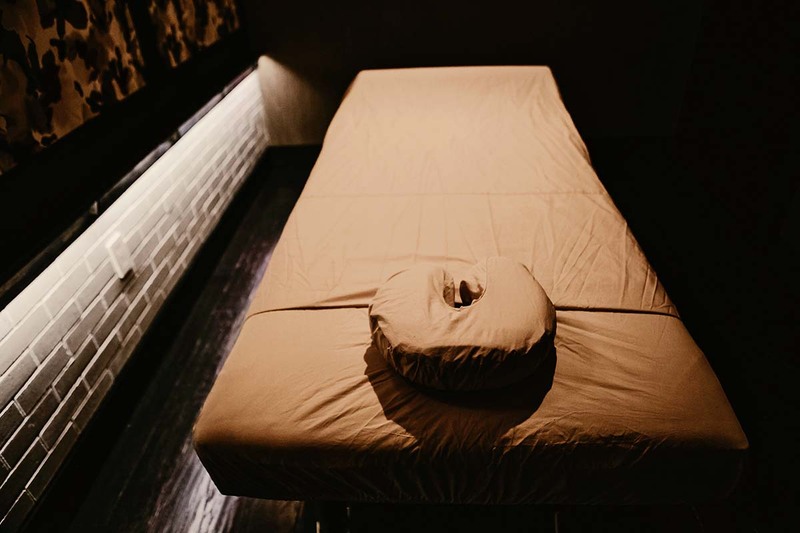 Before your massage, be sure to discuss your specific ailments with the therapist before the massage starts so that we can tailor your session to meet your needs and provide a massage tailored for you. If you’re living or working in Intown Atlanta, you’re in luck! Treat Your Feet is located in Buckhead near several hotels like the Embassy Suites, Hyatt Place, Courtyard by Mariott, and Intercontinental. We are a popular spot for people that come to Atlanta for a business trip. Hollywood actors and professional athletes have also come in to our spa to get relief. Although walk-ins are welcome, it’s best to schedule an appointment because our spa fills up quickly with massage appointments. “All I can say it WOW! My experience here was very much needed to say the least. I had a deep tissue couples massage for a whole hour, yes, 60 minutes. From the time I walked in to the time I walked out, the staff was very friendly and professional. The place was very clean, modern, and well kept. We had an appointment at 6pm and right when we got there, we were taken inside to our massage room. We were asked if we had a preference as to male or female as well if we needed to use the bathroom before we started which I thought was very necessary. I told them I didn’t have a preference and I was matched up with a male. My massage was awesome! Definitely a deep tissue massage. Throughout the 60 minutes, I was asked if the pressure was just right which I appreciated very much. The atmosphere was very quiet as it should be, and I was very relaxed. They incorporated hot stones as part of the deep tissue massage which was my favorite part of it all. After the 60 minutes were up, we were offered water or hot tea to take with us as we left.